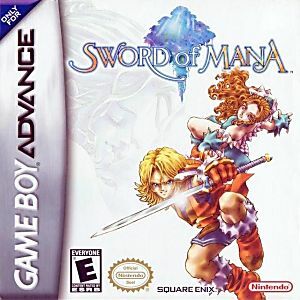 Sword of Mana GBA Game Boy Advance Game Cartridge Cleaned Tested and Guaranteed to Work! Cartridge itself is in perfect condition (no wear whatsoever!). As for the game itself, I wanted to like it so much. Secret of Mana is one of the best games of all time, and even though I tempered my expectations for this other game in the series, I was still disappointed. I could go on and on about the numerous things holding Sword of Mana back from even being an exceptional RPG, I'll instead just leave it with mentioning that the combat is good, as are the graphics. The rest, not so much. Keep in mind I only put four hours into it. It might get significantly better, but I have no desire to find out, at least anytime soon. Game is in good working order and satisfied with this purchase. Good game. Works fine. My room mate plays it more then i do lol. I've never had a problem with any item i have bought from lukiegames. I got this game to test out if this site was good and Lukiegames is awesome and so is this game. I first saw it on a lets play on youtube it looked cool so I had to get it. A great remake of Final Fantasy adventure. Everyone should try this game. Bought this as a gift for my sister for her birthday. We both had tons fun playing this game as kids and she was delighted to play it again on her birthday.